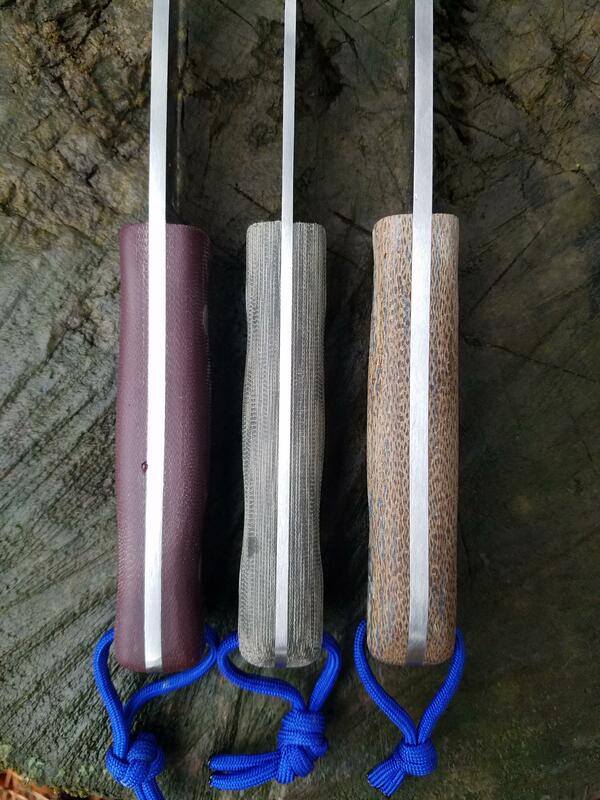 I’ve been getting some use from the Survival Puukko that @ArmyMacE generously offered for a passaround. I used it for some prep for the Firebox stove and carved out a sling shot. I’m looking forward to a few more weeks with this blade. I’ve got some more projects, a hike or two, and hopefully some trout fishing lined up for this month. Buckhenry, cockeyedhunter, M.Hatfield and 11 others like this. PSK piggybacking a Bolo would be REAL nice... just thinking out loud . wvtracker14, ugashooter, Creaky Bones and 2 others like this. Until then here's one. 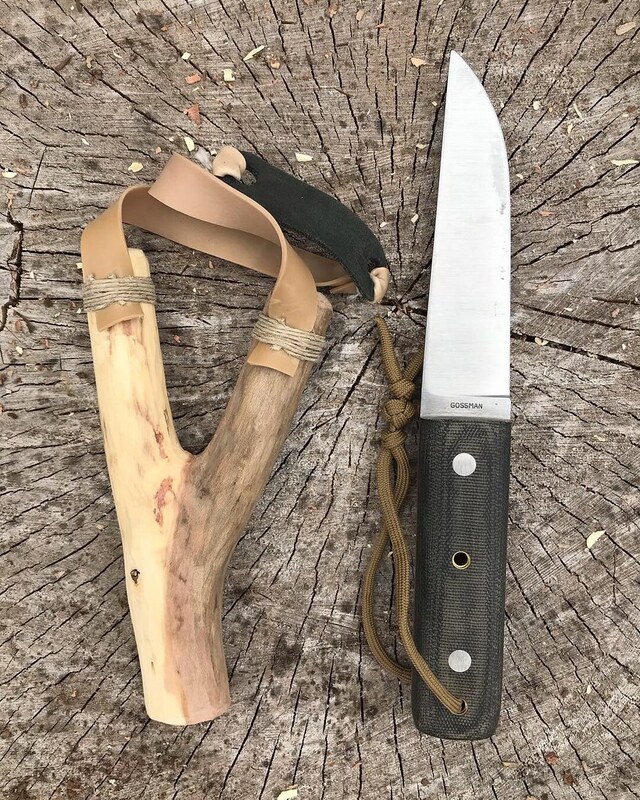 S7 kubo, psk with linen micarta, firesteel, GST, tied in with murman fire band. cockeyedhunter, Lawyer Dog, XMP and 6 others like this. Are murman fire bands available in the bcusa store? The craftsmanship is spectacular. wvtracker14, RI Chevy and Murman like this. Are murmam fire bands available in the bcusa store? The craftsmanship is spectacular. Creaky Bones, RI Chevy and ugashooter like this. At least my tools are awesome! Micro Tusker for volunteer hours, simple and easy to carry everywhere. I think its pretty cool on how dark the O1 steel is getting. @S.Gossman WST with the @Sargent WSK. Buckhenry, cockeyedhunter, wvtracker14 and 7 others like this. wvtracker14, Lawyer Dog, Mr. Tettnanger and 4 others like this. 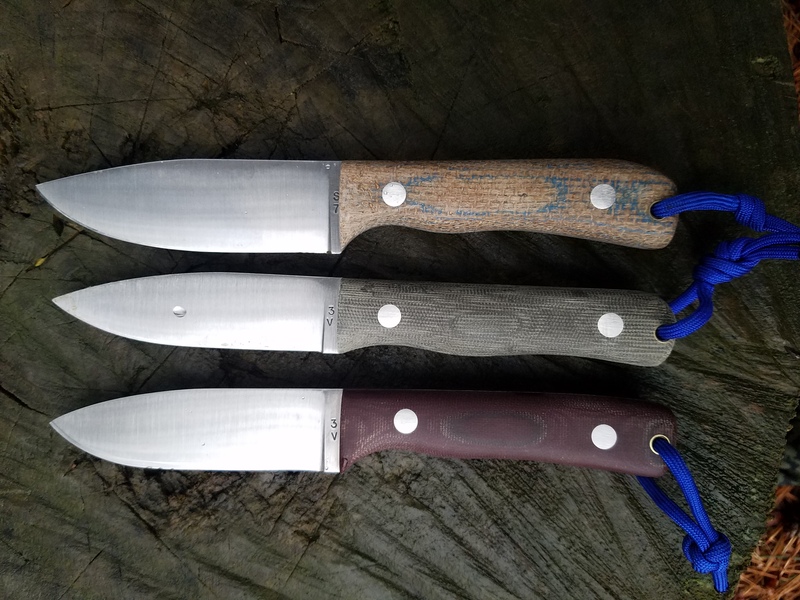 cockeyedhunter, wvtracker14, Fixedblade and 8 others like this. Buckhenry, cockeyedhunter, M.Hatfield and 12 others like this. Buckhenry, Odd Fellow, R Stowe and 11 others like this. Picked this companion up from my buddy Dan among some other non Gossmans knives. wvtracker14, M.Hatfield, Lawyer Dog and 8 others like this. Man that TC looks perfect! Congrats. Definitely on my “must get” list. wvtracker14, S.Gossman, Creaky Bones and 2 others like this. Its got a super comfortable handle. Wicked sharp! wvtracker14, S.Gossman, Creaky Bones and 3 others like this. Now you’re just rubbing it in. Hit me up if you ever get bored with it . Looking forward to some action pics! wvtracker14, S.Gossman, RI Chevy and 1 other person like this. wvtracker14, Lawyer Dog, M.Hatfield and 10 others like this. Dud you part ways with your A2 Tusker? wvtracker14, Mr. Tettnanger, S.Gossman and 1 other person like this. Didn’t part ways, but rather lended it away and accepted a S7 Tusker to use in its wake. I promise I’m taking good care of a great knife! wvtracker14, Mr. Tettnanger, Creaky Bones and 3 others like this. wvtracker14, Mr. Tettnanger, Creaky Bones and 4 others like this. No shortage of great people. That’s for sure! Had a few busy days doing volunteer work... pocket dump... lots of use with this Micro Tusker. I get caught up with what I’m doing sometimes and don’t always remember to grab some action shots. 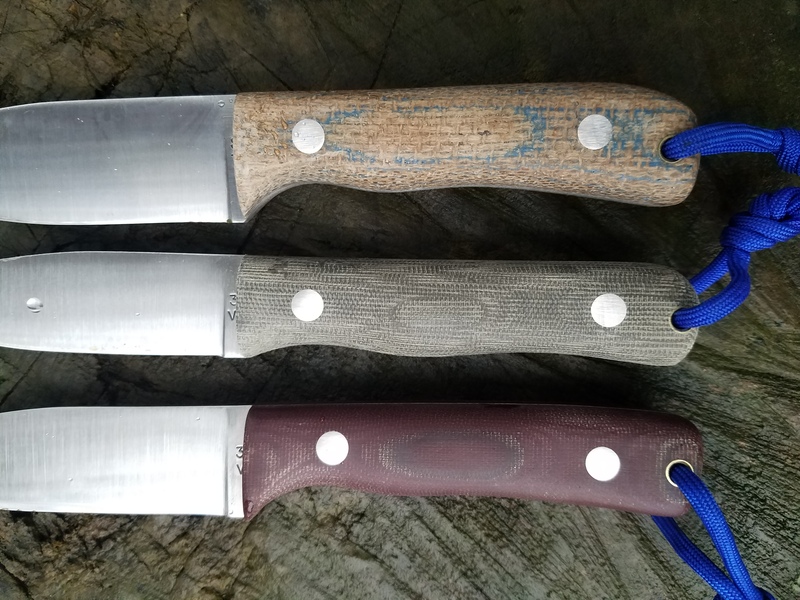 Buckhenry, Fixedblade, wvtracker14 and 6 others like this. It’s living with @ugashooter now so it’s still in the family. His S7 Tusker lives with me now. There will always be a 5” Tusker in my house. 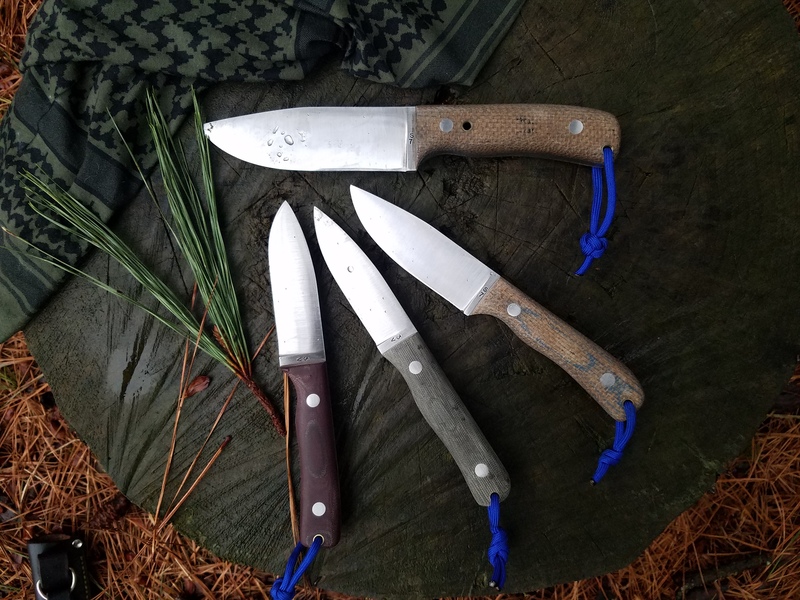 In a perfect world where I had unlimited funds I’d have a Gossman bolo, a kubo, maybe one of those fancy predators, but in all honesty I am 100% content with the Gossman knives I have. They cover all of my knife needs. I can’t believe I even typed that. Somebody call 911. I think my brain might be injured. wvtracker14, ugashooter, Murman and 5 others like this. wvtracker14, ugashooter, ArmyMacE and 2 others like this. wvtracker14, ArmyMacE and RI Chevy like this. wvtracker14, ugashooter, XMP and 2 others like this. wvtracker14, Murman, ArmyMacE and 1 other person like this. wvtracker14 and Creaky Bones like this. So I traded this knife off a few months ago and instantly regretted it. Turns out this is my favorite all around camp knife. The member I traded it to was gracious enough to trade it back to me when the time was right. He doesn't post here much so not naming names but thanks bro! Kona9, wvtracker14, S.Gossman and 11 others like this. see in Virginia this year. Buckhenry, superslow, wvtracker14 and 12 others like this. Odd Fellow, superslow, M.Hatfield and 9 others like this. Gonna have a hard time finding something that pair CAN’T do. Congrats! Creaky Bones, wvtracker14, ArmyMacE and 2 others like this. What blade length is that BBT? Great looking pair! Creaky Bones, ArmyMacE, wvtracker14 and 1 other person like this. Creaky Bones, ArmyMacE, wvtracker14 and 2 others like this. Thanks Scott can't wait to break it in, this thing has a serious edge on it! Creaky Bones, S.Gossman, Fixedblade and 7 others like this. Nice! I hate I missed those 3V's. Creaky Bones, ugashooter, RI Chevy and 2 others like this. Creaky Bones, Mr. Tettnanger, ugashooter and 3 others like this. They went fast! Hope you get one next batch. Thanks! Very excited to put it through the paces! Creaky Bones, Mr. Tettnanger, ArmyMacE and 3 others like this. Creaky Bones, ugashooter, ArmyMacE and 2 others like this. Gruntinhusaybah, Creaky Bones, wvtracker14 and 10 others like this. New to the collection. Pretty sure everyone needs a Polaris or 2 in their lives. Creaky Bones, wvtracker14, Odd Fellow and 7 others like this. Odd Fellow, Creaky Bones, ArmyMacE and 7 others like this. Creaky Bones, ArmyMacE, XMP and 8 others like this. New Polaris in 3v. I’m really fired up about this blade. Today’s carry. Buckhenry, Mr. Tettnanger, Creaky Bones and 8 others like this. Mr. Tettnanger, Creaky Bones, wvtracker14 and 6 others like this. I cannot recommend enough that y'all try an ulp if you like the polaris. Worth having one of each. These are both gone but pic for comparison. 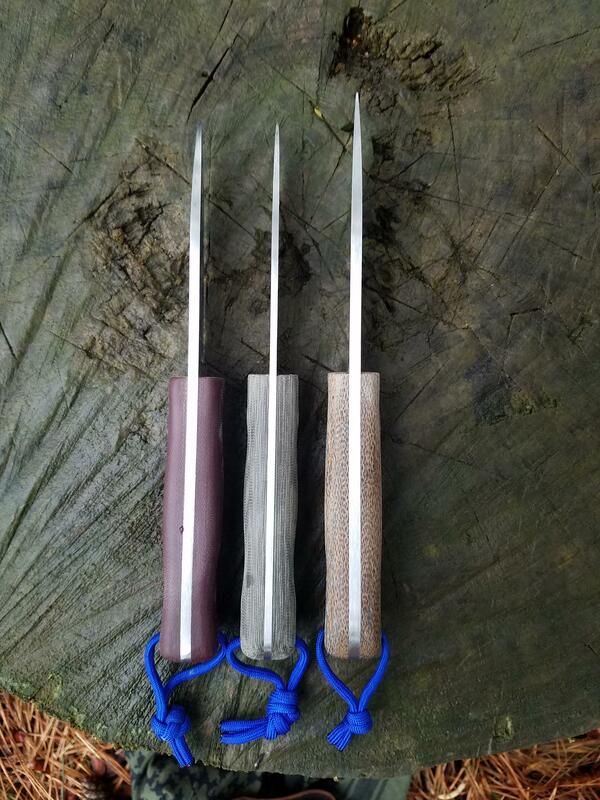 Blade edge is almost the same but ulp is lighter than a psk. Mr. Tettnanger, S.Gossman, Creaky Bones and 6 others like this. Logical first use of a new blade, make a featherstick. This Polaris just feels right. RI Chevy, Fixedblade, Mr. Tettnanger and 5 others like this. Look at them beautiful fuzzies ! Definitely gotta get a Polaris out this weekend. Love that knife. Odd Fellow, RI Chevy, Murman and 5 others like this. S.Gossman, Mr. Tettnanger, wvtracker14 and 7 others like this. Polaris is perfect for getting in them nooks and crannies! S.Gossman, Odd Fellow, Fixedblade and 5 others like this. Happy St. Patrick’s Day fellow Gossmaniacs! This is a "G" instead of the shamrock! These Houligans snuck in to hoist a few! They got a bit rowdy and started some shenanigans! I had to toss out! Buckhenry, Fixedblade, S.Gossman and 7 others like this. As long as I've got the knife on my hip I'm wearing green. cockeyedhunter, Murman, Fixedblade and 8 others like this.